I hope you had a lovely weekend? If you've been following my blog for a while you'll know one of my long term dream is to buy and do up a summer cottage by a lake in Sweden (do you share a similar dream?). 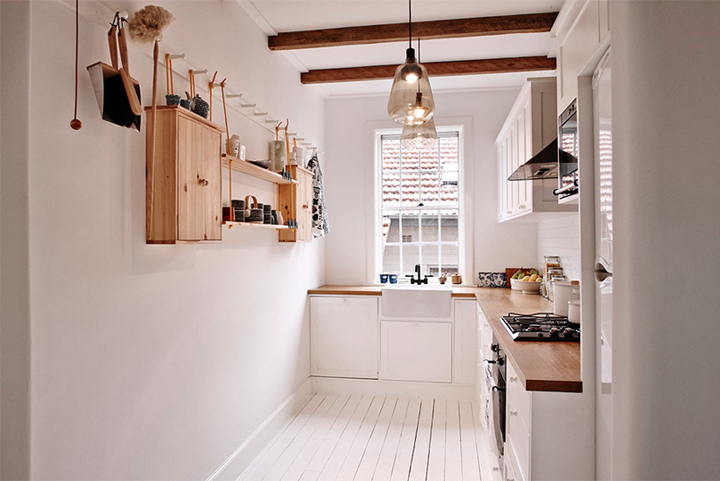 My moodboards for this dream home are endless but once thing's for sure, I'll be adding this home. Designed by Frag Woodall, the concept is basic, drawing on natural materials and light and keeping to a simple palette of black, white and wood. 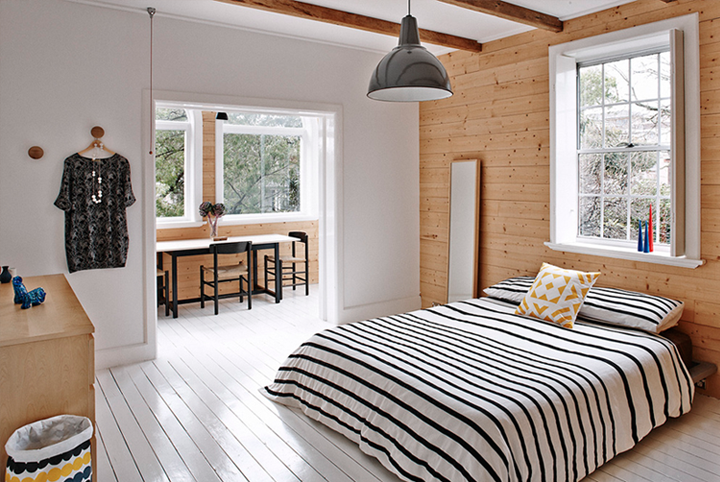 This wood and white combination is perfect for a summer home don't you think? The 'basket' in the corner of the room is made from Marimekko fabric. I love the striped bedding too- any idea where it's from? But there's a twist. 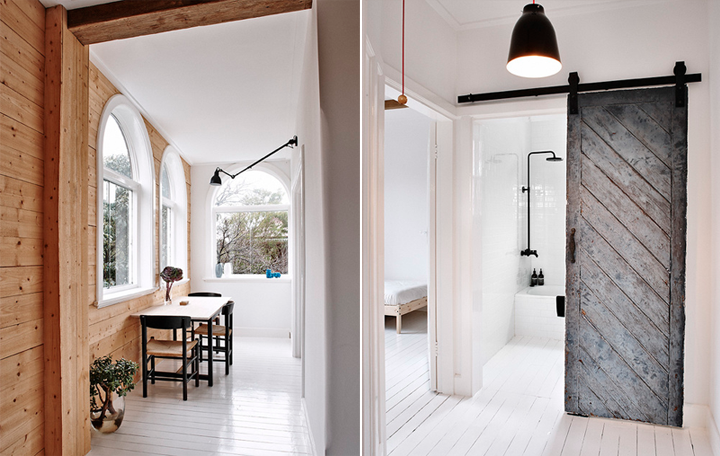 Interestingly this is actually an apartment in Sydney which has been designed to look like a holiday home. There's hope for us all yet! Thank you for the info Jessica at Nordic Space. For more weekend retreat / holiday inspiration I am loving these homes (warning: could take you a good hour to scroll through them all - this home will come up first but just go on passed it). Have a lovely Monday and see you tomorrow!